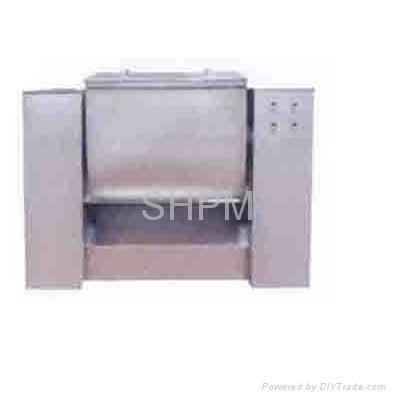 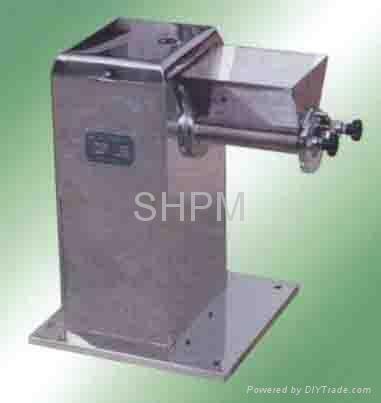 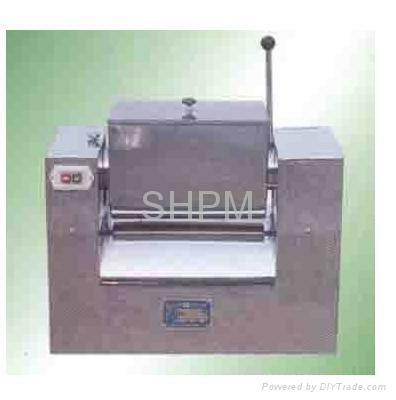 This machine is a horizontal single propeller mixer. 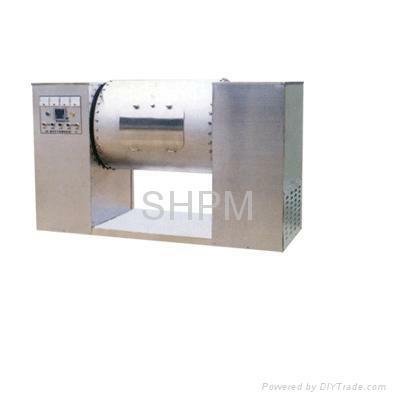 It is mainly used to mix different proportional dried and moist powder uniformly in pharmaceutical industry. 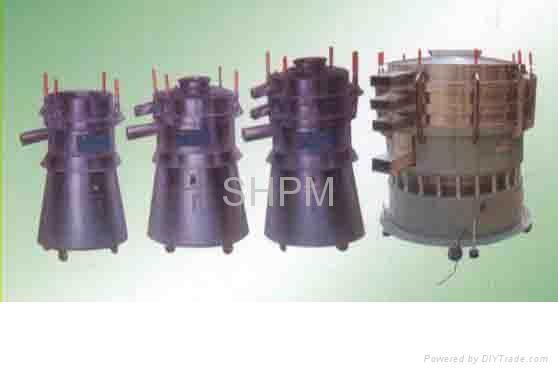 There is no material solution, volatilizing and deteriorating when mixing.It is also suitable in food, chemical industries.